affordable housing – We need a national housing strategy now! 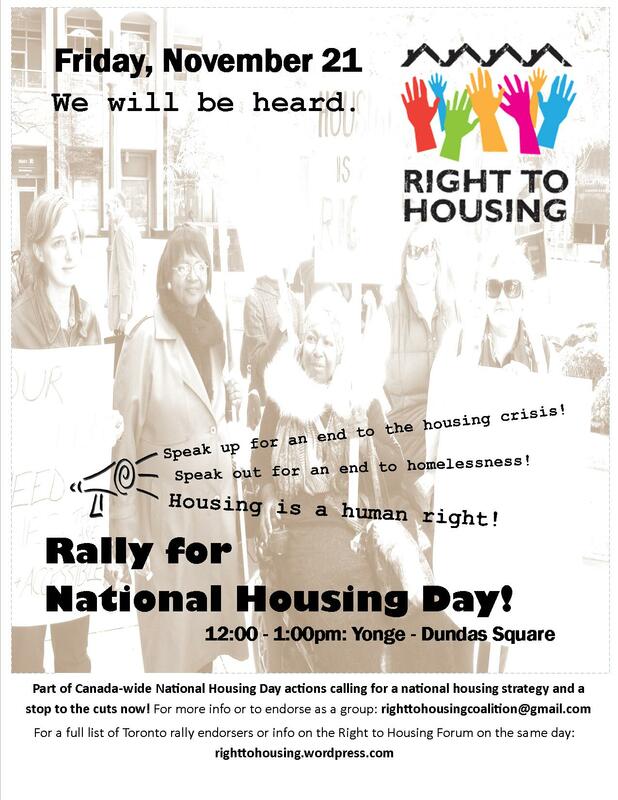 November 22 rally for National Housing Day! Tuesday November 22, is National Housing Day. Between 150,000– 300,000 people are homeless in Canada, and millions more are living in inadequate or unaffordable housing. Any yet, Canada is the only major industrialized country without a national housing program. Aboriginal peoples, racialized communities, people with disabilities, women, seniors and other marginalized groups are disproportionately affected by housing insecurity. 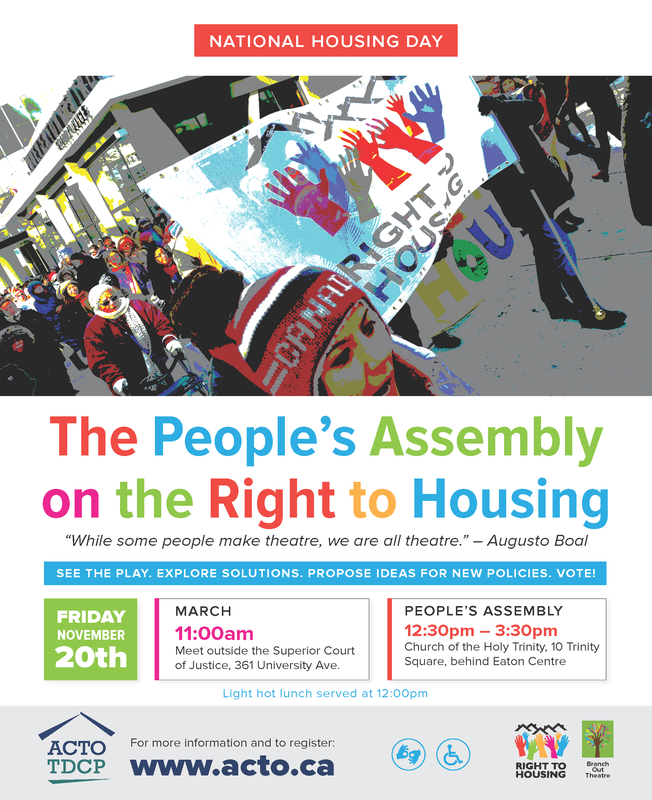 On National Housing Day join the Right to Housing Coalition for a rally to demand a national housing strategy and to support the Charter challenge to end homelessness. 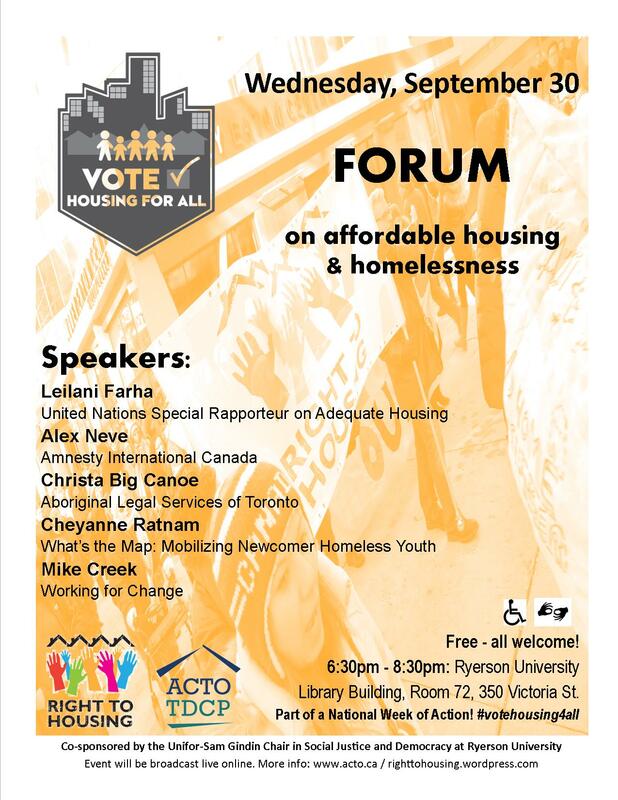 Endorsed by: Voices from the Street, Toronto Disaster Relief Committee, TCH Tenants Speakers Bureau, Stop the Cuts Network, Sisters of Providence of St. Vincent de Paul, Registered Nurses’ Association of Ontario, Occupy Toronto, FORWARD, the Dream Team, Toronto CAS and the Advocacy Centre for Tenants Ontario. 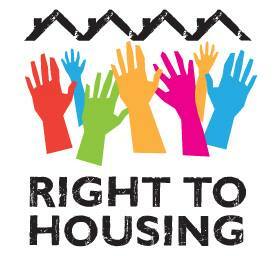 Please contact righttohousingcoalition@gmail.com to endorse the action or for more information.